As the state ramps up its efforts this year to screen boats for invasive species, some local groups have taken inspections into their own hands. The City of Whitefish and the Whitefish Lake Institute, for example, have been running two city-funded mandatory check stations since Memorial Day at the only public boat launches on Whitefish Lake. The Whitefish Lake Institute, a local nonprofit that monitors water quality on the lake, also runs a decontamination station. 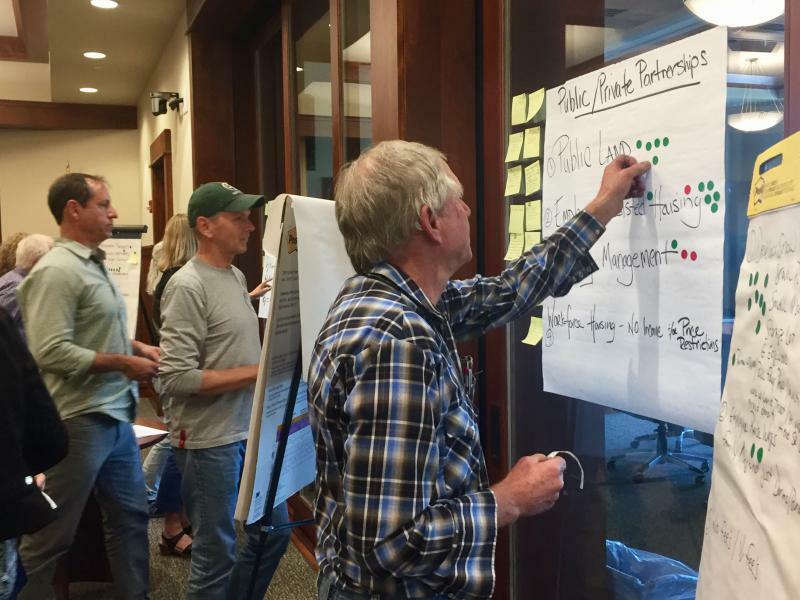 On Monday night, Whitefish City Council voted to align its local aquatic invasive species program with state protocols. The new agreement with Montana Fish, Wildlife and Parks gets rid of a former decontamination fee the Lake Institute charged boats it deemed in need of a deep clean, matches the city’s training protocols with the state’s, and sets up a tagging system for boaters who only launch on Whitefish Lake. It also lays out how the city and state will communicate and share data. People using canoes, kayaks and paddleboards are encouraged to take an online training and self-certify that their vessel is clean. "Any time you can leverage partnerships, you're going to come out ahead. The more eyes on these boats the better," says Mike Koopal, executive director of the Lake Institute. Koopal has worked with the city since 2013 on its Aquatic Invasive Species Management Program. He says Whitefish Lake needs an extra layer of protection from a potential invasion of non-native zebra and quagga mussels. "Whitefish Lake in particular is special because it's a very prized recreational water body, and it's also a source of drinking water for Whitefish and some of the residents around the lake as well," Koopal says. If mussels get a foothold in the lake, Koopal worries they could start colonies inside water intake valves, growing on each other’s shells to clog pipes entirely. That could leave the city and property owners who draw from the lake without water. Koopal says preventing the mussels from getting here in the first place is really the best case scenario for boaters and residents in Whitefish. In addition to the inspection and decontamination stations, the Lake Institute has partnered with the University of Montana’s Flathead Lake Biological Station to sample Whitefish Lake with a new early detection technique called environmental-DNA. They have not detected any mussels in the lake so far, and boats that are deemed high risk go through a hot water flush before they can launch. Tom Woolf is the aquatic invasive species bureau chief for Fish, Wildlife and Parks. He says small local efforts, like what’s happening at Whitefish Lake, enhances the state’s fight against the spread of invasive species. "As far as the state goes, we want to help empower local entities to help protect their own waters if they have the resources and the wherewithal to do that," says Woolf. In March, the Whitefish City Council approved spending nearly $140,000 on the program. The Whitefish Lake Institute funds the decontamination station with a roughly $35,000 annual budget. The state budgeted $3.9 million to run inspection stations this year. The state funds 29 stations and cooperates with partner groups on 14 others. Woolf says the important thing is for all partnering agencies to maintain consistent inspection protocols and for all inspectors to have the same training. But he adds boaters and floaters need to take on a level of personal responsibility for Montana to keep the mussels out. "The public is going to have to play a major role in this prevention, because we can't be at every boat ramp across the state, so the public is going to have to clean, drain and dry their boats to help in this effort," says Woolf. Fish, Wildlife and Parks also partners with the Blackfeet Nation, Confederated Salish and Kootenai Tribes, Glacier National Park, Bighorn Canyon National Recreation Area, some counties and nearby states to run inspection stations along state borders and at crossings of the Continental Divide. 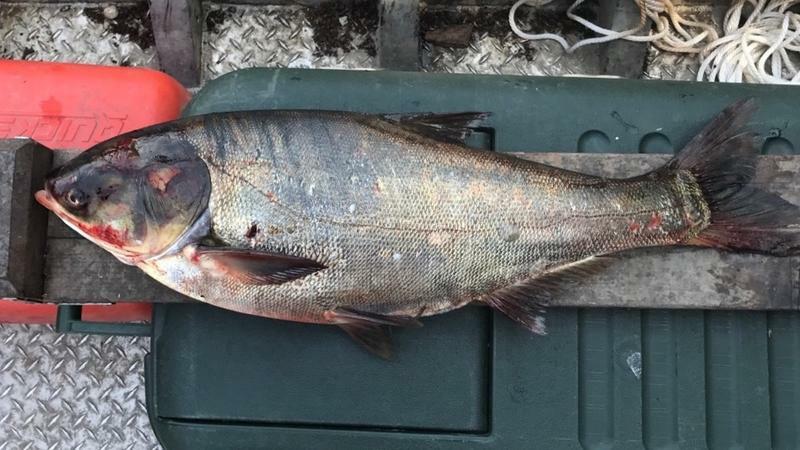 A live Asian carp — an invasive fish so threatening to local U.S. ecosystems that officials have struggled to keep it out of the Great Lakes — has been caught 9 miles from Lake Michigan, beyond a system of underwater electric barriers. 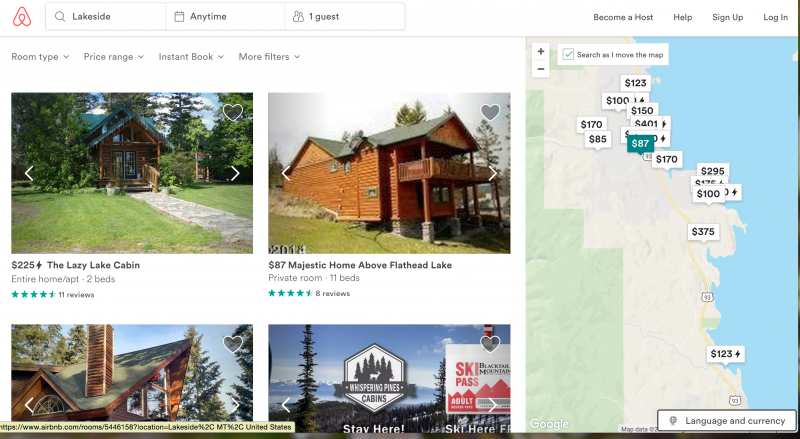 Affordable housing is becoming increasingly hard to find in Whitefish, as second homeowners, mostly from out of state, scoop up real estate and landlords turn their usual long-term rentals into vacation rentals. For people working the low-wage service industry jobs that sustain the area’s tourism economy, there aren’t a lot of options.